Sticky, candy-like sweetness doesn’t often occur in nature. While we love to snack on sweet treats like dates, berries, bananas, and other fruits, most of these natural whole foods still cannot achieve the uniquely ‘dessert’ level of sweetness. Even pure maple syrup, one of many bakers’ favorite sweeteners, has other rich, powerful flavors which make it taste darker and more complex than our beloved sugary snacks. There is, however, one food that acts as candy all on its own: honey. Whether you drizzle it on sweet potatoes, bake it into cupcakes, or even use it as a natural mid-workout energy booster, you probably have a soft spot for honey. Even vegans scour the produce aisle in search of a way to recreate honey’s wholesome dessert flavor. 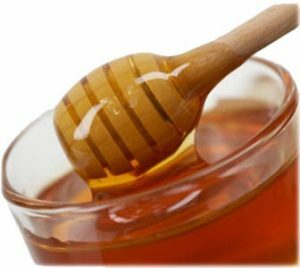 Since honey has a reputation as a ‘healthy’ sweetener, people tend to be less worried about using it in their food and feeding it to their children. But what about their pets, who often have pickier digestive systems? Can you give your cat honey? The answer: honey is not poisonous to cats, so it is technically ‘safe.’ However, it is not recommended to feed your cat honey in any amount. Though it is a less processed food than cane sugar or high fructose corn syrup, it offers no nutrition for your cat. 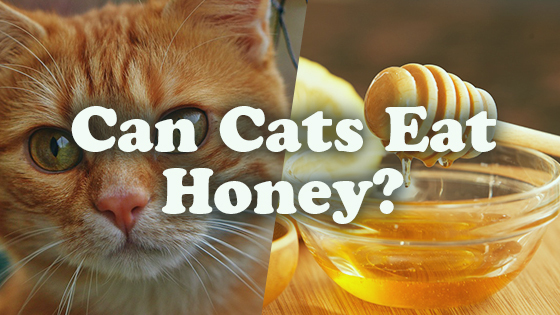 This should not be any trouble for your feline friend, though—most cats do not even like honey! Are there ANY potential benefits to feeding your cat honey? From a nutritional standpoint, no, there is no reason to give your carnivorous kitty any honey. Though members of the raw food crowd tout honey as a miracle drug, in reality, it is almost completely nutritionally empty. When it comes to vitamins, minerals, and all the micronutrients that keep the body running well, honey is little better than cane sugar. While this is not too terrible for us humans, who function well on a moderate to high carbohydrate diet, it can be problematic for your carnivorous cat. Your adorable little calico may seem harmless pushing a ball of yarn across the floor, but biologically, she is a predator; an obligate carnivore. Obligate carnivores like cats evolved to eat meat almost exclusively, which means that their bodies are calibrated for high protein diets. A cat living in the wild would consume extremely low levels of carbohydrates. As a result of evolving to eat an all-prey diet, cats no longer produce the carbohydrate-processing enzyme amylase, and so have largely lost their ability to digest carbohydrates—like honey, which is nothing more than glorified sugar. Though the science on the relationship between honey and seasonal allergies is shaky, the idea is widespread enough that it is worth mentioning: some pet owners and veterinarians believe that feeding your cat raw, local, unpasteurized honey may alleviate allergy symptoms. The idea behind this theory is that the raw honey, which contains pollen from the local plants triggering your cat’s allergies, may help desensitize your cat’s immune system. Simply put, giving your cat raw honey containing pollen can help ‘teach’ their body not to panic when it encounters pollen in the air during allergy season. If your veterinarian approves of this allergy treatment plan, make sure that the honey is locally produced—and that it is raw. Proponents of the honey-as-allergy-prevention trick believe that pasteurization destroys the pollen and other particulate matter within the honey. There are, however, some health risks associated with consuming raw, unpasteurized honey. Though it is extremely rare, cats who eat contaminated raw foods may contract a potentially fatal illness called botulism. Botulism is a neurotoxin that causes progressive paralysis—symptoms usually start in the hind legs, then spread up the spine and along the neck. Cats are usually pretty resistant to this neurotoxin, but if they do succumb, symptoms tend to start with weakness and progress to paralysis. In its most severe form, botulism can paralyze your cat’s respiratory system, resulting in suffocation. For most cats, though, the effect of honey is underwhelming. Since cats cannot taste sweet, and honey is nothing but sweet, the vast majority of felines will take no interest in eating it. They may lick a spoon out of curiosity, but most of them will not come back for seconds. If your cat somehow manages to eat too much honey, the worst result will usually be nothing more than an upset stomach, vomiting, and possibly diarrhea. If for some reason your cat makes a habit of eating too much sugary honey, they may be at risk for weight gain and diabetes. In the end, it is not recommended to give honey to your cats—and they probably would not eat it if you tried. Though some believe that raw honey can alleviate allergy symptoms, unpasteurized foods come with the risk of food poisoning and botulism. If your cat licks a little bit of honey off a spoon, it’s nothing to worry about, but this food definitely is not an ideal cat treat. Can Dogs Eat Pineapple? Can Cats Eat Bacon?